Friends of Kansas Libraries » READY, SET, GOING! Carbondale Library received a start-up grant from FoKL in May of 2004, The grant was used to promote a kick-off event for the Friends of Carbondale Library. Mr. David Leamon, director of Topeka and Shawnee County Public Library, spoke at the kick-off on July 11, 2004. Door prizes included book baskets featuring free breadsticks with purchase of large pizza from Caseyâ€™s. Following the kick-off event the group has held a book sale, a concessions stand, a holiday open house and cookie bake off, and a book swap. Goals set for 2005-2006 include purchasing magnets with library hours, and purchasing an â€œopenâ€ sign for the library. Events are already planned for the remainder of 2005 and 2006, and a web site is in development. 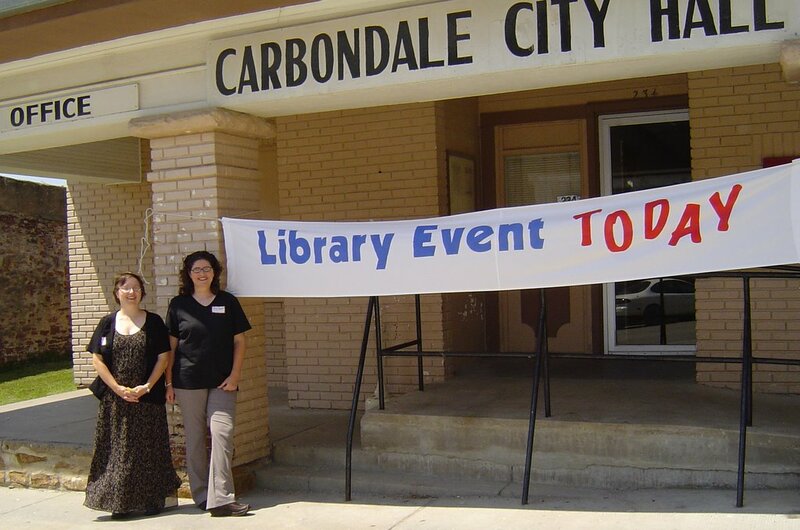 WAY TO GO, FRIENDS OF CARDONDALE! If you know of a group who would like to organize a â€œFriendsâ€ see the FoKL website, www.fokl.net for details.